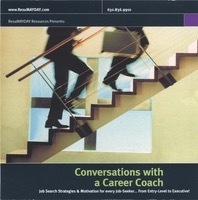 ResuMAYDAY has the commitment, experience and expertise to support you in all phases of your career advancement. Unlike other resume services, we don’t use templates and not one, but two resume experts will be working on, scouring over and perfecting your materials. Your in-depth phone consultation ensures that your resume will not be ‘cookie cutter’, but will be crafted to truly reflect your specific experiences and career goals. We are committed to providing superior and customized job search tools to every client. We are committed to completing your better-than-the-rest materials as quickly as possible. We want you out there and ready to find your dream job… before someone else does! See what our clients say about us on the ‘Read Testimonials’ link. Not enough? Visit Lauren’s LinkedIn profile for even more testimonials. We hope to add you to this elite list! I’m ready for my better-than-the-rest resume!